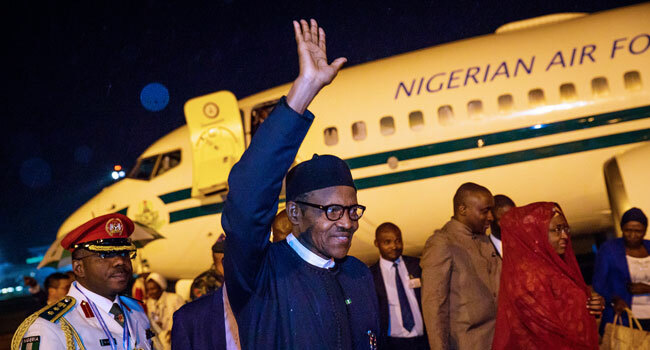 President Muhammadu Buhari on Thursday night arrived in Abuja, the nation’s capital after a six-day visit to China. The President was in Beijing, China where he participated in the seventh summit of China-Africa Cooperation (FOCAC). During the trip, he held several meetings including a meeting with some group of Nigerians residing in China, during which he discussed key issues in the nation (Nigeria). He also met with some business groups whom he asked to take advantage of the improved business environment in Nigeria and invest in key sectors of the economy. 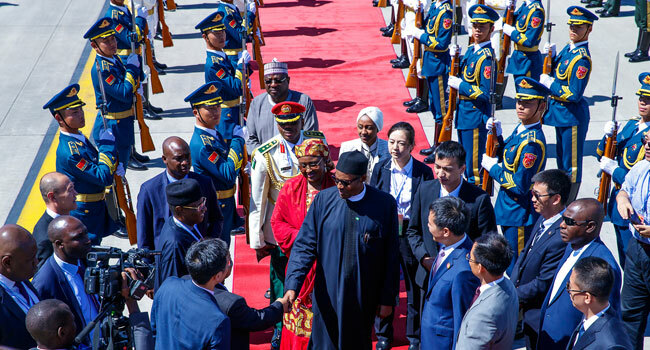 President Buhari and his wife Aisha bid farewell as they depart Beijing after participating at the Forum on China-Africa Corporation (FOCAC) Summit in China on September 6, 2018. He also solicited the assistance of the Chinese government towards the construction of the Mambilla Hydropower Project in Taraba State. “I told President Xi (Jinping) that the Mambilla Hydropower Plant is Nigeria’s equivalent of China’s Three Gorges Dam, and that I look forward to him joining me for the groundbreaking ceremony in the not-too-distant future,” President Buhari had said on his Twitter handle on Wednesday. On Saturday, President Buhari and Mr Xi witnessed the signing of an agreement worth $328m between Nigeria and China. Also on his entourage were Governor Mohammed Abdullahi Abubakar of Bauchi State, Akinwunmi Ambode of Lagos State, Mohammed Badaru Abubakar of Jigawa State and Rochas Okorocha of Imo State. Others were Senators Abdullahi Adamu, George Akume, Godswill Akpabio and Aliyu Wamakko representing Nasarawa, Benue, Akwa Ibom and Sokoto States.